Creating the Blueprint to Reduce LGBTQ Youth Homelessness. 3/40 Blueprint was initiated to identify challenges and goals, and help transitional living programs develop solutions better aligned with LGBTQ youths’ unique needs. Research results, executive summaries, and infographics have been provided here to help guide service provision for this vulnerable population. 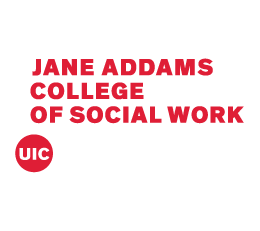 3/40 Blueprint was a collaborative effort between Jane Addams College of Social Work at the University of Illinois at Chicago (UIC), the Graduate School of Social Work at the University of Houston, the Center for the Study of Social Policy, and the Human Rights Campaign Foundation. These entities partnered due to their longstanding commitments to social justice, including efforts to improve outcomes for LGBTQ youth and runaway and homeless youth. 3/40 Blueprint was created to respond to the needs LGBTQ youth and runaway and homeless youth by developing a blueprint over the 3 years of this project that can reduce the 40% of homeless youth who identify as LGBTQ (the 3/40 BLUEPRINT). The outcomes from this project should help build the capacity of Transitional Living Programs to serve LGBTQ homeless youth and strengthen their efforts to better understand and address the needs of this population. We have focused on identifying the needs of LGBTQ homeless youth and the strategies that respond to those needs to facilitate successful transitions to adulthood. Project findings, executive summaries, and infographics have been provided here to help guide service provision for this vulnerable population. Practices have begun to emerge that show promise in responding to the needs of LGBTQ homeless youth. However, information about those practices has not been systematically collected or analyzed, and no unifying practice models have emerged as a result of those responses. To facilitate positive outcomes for LGBTQ homeless youth, more information is needed about those emerging practices, as well as about appropriate screening and assessment tools, and policies and programs that can facilitate LGBTQ homeless youth feeling “safe, respected, and affirmed”. This project helps to begin closing that gap. Explore the results of a systematic review of studies since 1990, as well as focus groups conducted as part of this project. Findings from focus groups with youth and providers have been distilled into actionable summaries for transitional living programs. Share these graphics to enhance understanding of LGBTQ youths’ unique needs, and to help create safer, more affirming environments. 3/40 Blueprint was funded as a collaborative agreement between the Jane Addams College of Social Work at the University of Illinois at Chicago and the Family and Youth Services Bureau of the Administration for Children, Youth, and Families. Alan J. Dettlaff is Dean of the Graduate College of Social Work at the University of Houston and the inaugural Maconda Brown O’Connor Endowed Dean’s Chair. Prior to joining the University of Houston, Dean Dettlaff served on the faculty of the Jane Addams College of Social Work at the University of Illinois at Chicago. He received his bachelor’s degree in social work from TCU, and master’s in social work and PhD from the University of Texas at Arlington. Dean Dettlaff’s research focuses on improving outcomes for children and youth in the child welfare system through examining and addressing the factors contributing to racial disparities and improving cultural responsiveness. Henrika McCoy, MSW, MJ, PhD, LCSW is an Associate Professor at the Jane Addams College of Social Work, University of Illinois at Chicago. She has a Master of Social Work (MSW) from the University of Pennsylvania, a Master of Jurisprudence (MJ) from Loyola University Chicago, and a PhD from the George Warren Brown School of Social Work at Washington University in St. Louis. Dr. McCoy’s research is three-fold. First, she focuses on the intersection of mental health and juvenile delinquency, particularly for African American males. She has been funded in this area by the Fahs Beck Fund for Research and Experimentation, the Robert Wood Johnson Foundation -- New Connections program, and University of Illinois at Chicago, Institute for Research on Race and Public Policy. Second, she has been funded by the National Institute of Justice funded study Understanding the Violent Victimization Experiences of Young Men of Color (SURVIVE). The project is designed to fill the gap in our knowledge base about the violent victimization experiences of young Black males ages 18 to 24. Finally, she served as one of the Principal Investigators of this project, 3/40: Project Blueprint. Sarah Narendorf, PhD is an Assistant Professor at the University of Houston, Graduate College of Social Work. Her research focuses on ensuring successful transitions to adulthood for marginalized young people including those who experience homelessness, mental health issues, and involvement with the foster care and juvenile justice systems. She conducted a community wide count and survey of homeless youth in Harris County in 2014 called YouthCount 2.0! which has assisted in informing community planning around youth homeless services, particularly for young people that identify as lesbian, gay, bisexual, transgender or questioning (http://www.uh.edu/socialwork/New_research/projects/Youth%20Count%202.0/). She also authored a report submitted to the Texas legislature in 2016 with policy recommendations for ending youth homelessness in Texas (https://www.tdhca.state.tx.us/housing-center/docs/YCT-docs/YouthHomelessnessTexas-Report.pdf). Micki Washburn, PhD, LMSW, LPC-S is a Research Scientist at the University of Houston Graduate College of Social Work, Center for Drug and Social Policy Research. Her research focuses on technology enhanced behavioral health interventions with historically underserved communities, including youth and families with child welfare involvement. She holds practice licenses in both social work and professional counseling, and has over 15 years of direct mental health practice experience, focusing on the care of members of the LGBTQIA2-S+ communities. Dr. Washburn is part of the evaluation team for the getR.E.A.L. Allegheny project, which seeks to implement SOGIE affirming policies and practice behaviors within public child welfare systems. She is also an advocate for SOGIE affirming legislation and policies in her home state of Texas. Christopher Mitchell, MSW, PhD, LCSW, is Associate Professor and Director of Academic Program Development and Assessment at the Jane Addams College of Social Work, University of Illinois at Chicago and a member of the Steering Committee of the UIC Collaborative for Excellence in Interprofessional Education. He is an experienced clinical social worker with expertise in cognitive behavioral and motivational treatment approaches for persons with mental health and substance use problems. His research addresses the psychosocial and behavioral aspects of HIV with particular focus on HIV prevention and medication adherence. He teaches graduate courses in behavioral health, clinical social work practice, and integrated care. We recommend advocating to public funders to reduce duplicative data collection wherever possible. This goal can be accomplished by ensuring data collection tools have common categories for capturing information. We recommend that funders require staff be trained so they, and the overall program, meet minimum (but high quality) standards related to being competent related to issues experienced by LGBTQ youth. This requirement will increase the likelihood of providing LGBTQ youth who are being served with a safe and affirming space. We recommend research continue to be conducted about LGBTQ youth who are homeless, especially those who reside in suburban and rural areas. Their experiences, the full scope, should be explored and viewed as a dynamic experience. We recommend further research be conducted, specifically about the needs of transgender and gender expansive (TGE) youth who reside in rural areas, small cities, and mid-sized cities. Due to a lack of resources in those areas, TGE youth are often not able to access the resources that larger cities across the country can provide. Understanding their needs and identifying strategies to meet them will help to fill that gap. the best practices and policies to use when providing services to transgender and gender expansive (TGE) youth. We recommend providing staff with the education and supports needed to appropriately respond to challenges that may arise during peer interactions, such as youth feeling unsafe. Being pro-active will increase positive outcomes for LGBTQ youth. We recommend TLPs review the numerous documents resulting from this project and integrate the recommendations made into their existing TLP programming. We recommend funders work together to ensure data collection tools have common categories for capturing information. This will reduce agencies having to duplicate information, provide consistency when collecting data, and may reduce the time needed to complete intake and assessment. We recommend federal and state funders explore ways to unify the language and questions used on their required forms. This approach will support front-line staff in their efforts to better document their clients' SOGIE. We recommend federal funding be made available to smaller agencies so they can create LGBTQ specific programs in areas where regional or local grants may not be available or cannot be used to fund LGBTQ specific programs. We recommend as part of their Requests for Proposals, funders prioritize providing funding to organizations who align with the recommendations identified from this project, such as creating a safe, affirming, and supportive environment for LGBTQ youth. Disclaimer: Please note, the persons depicted on this website are models and the images have been used solely for illustrative purposes. This website was made possible by Grant Number 90CX7053 from the U.S. Department of Health and Human Services, Administration for Children and Families to the Jane Addams College of Social Work at the University of Illinois at Chicago. Its contents reflect the views and input of the study participants and do not necessarily represent the official views of the Department of Health and Human Services, Administration for Children and Families. 1 Toro, P. A., Dworsky, A., & Fowler, P. J. (2007). Homeless youth in the United States: Recent research findings and intervention approaches. Washington, DC: Office of the Assistant Secretary for Planning and Evaluation. 2 Ray, N. (2006). Lesbian, gay, bisexual and transgender youth: An epidemic of homelessness. New York, NY: National Gay and Lesbian Task Force. 3 Van Leeuwen, J., Boyle, S., Sautel, S., Baker, D., Garcia, J., Hoffman, A., & Hopfer, C. (2006). Lesbian, gay, and bisexual homeless youth: An eight-city public health perspective. Child Welfare, 85, 151-170. 4 Ryan, C., Huebner, D., Diaz, R., & Sanchez, J. (2009). Family rejection as a predictor of negative health outcomes in white and Latino LGB young adults. Pediatrics, 123, 346-352. © Copyright 3/40 Blueprint | All Rights Reserved | Site design by Allegro Design Inc.